Led by former state chief minister Vijay Bahuguna, eight other Congress MLA, in March last year, rebelled against the Harish Rawat-led government. 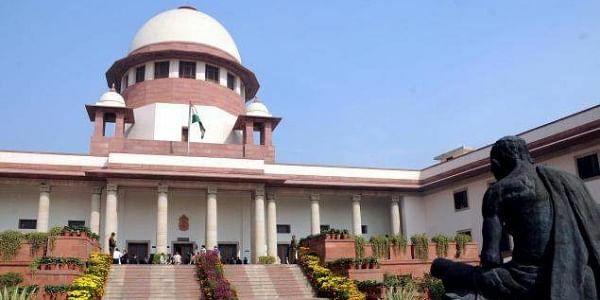 DEHRADUN: The Supreme Court on Tuesday upheld the Uttarakhand High Court order disqualifying nine state MLAs, which triggered the President’s Rule in the state. Mukesh Kumar Giri, special counsel, appearing for the speaker of the state legislative assembly, told the apex court that MLAs’ plea has become infructuous as the government has changed. Led by former state chief minister Vijay Bahuguna, eight other Congress MLA, in March last year, rebelled against the Harish Rawat-led government.The rebellion invited disqualification of the MLAs, who joined BJP in May 2016. Following disqualification, President’s Rule was imposed in the state on March 27, 2016, and the same prevailed for over 50 days.